Nothing spoils a workout more than using a shower that the tile looks bad or has mold and mildew. 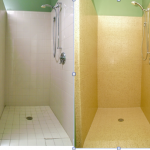 More and more recreation centers are turning to Miracle Method to update their showers and tile walls and floors because it can be done at night and in two days or less. Miracle Method’s process beats the high cost of demolition and re tiling and will have your showers looking like new and much happier members. Miracle Method will work with you on color selection and timing to minimize the impact on your business. The result is not only spectacular but healthier for your members and easier to maintain for your cleaning staff. 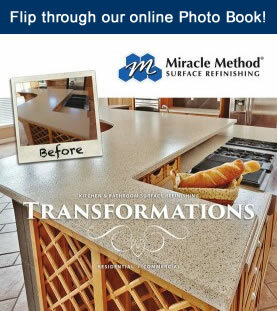 Find out how you can use Miracle Method to update the showers and all tile areas in your recreation facility by contacting us today.